December 25th 2015 at 12:01am Dakoda Isabel Diggs was born. Because the twins were premature, they are watching them, but so far they look great. I was holding Dakoda and Renee had David. Ivy was asleep, she had a rough night. "He has your nose Daveed." Renee said. "Yh. They both do. But Dakoda has Ivy&apos;s eyes." Just then Ivy woke up. "Daveed there are two of them you know. You can&apos;t just play with one of them." She said sitting up. "Can I have David please?" She asked Renee. Renee handed him to her. The biggest smile grew across the both of there faces. "Wow. That was just wow." Renee said. "When do we get to carry them home?" She asked. "I don&apos;t know maybe by tomorrow." I said kissing her forehead. "So when do I get to see the new house?" I laughed at her. "Soon babe just be patient." "OK Ivy I have a Christmas/wedding/giving birth gift." Renee said. "This gift must be huge for it to be all that." Ivy said. Renee went into her bag a pulled out a box wrapped in Christmas paper. Ivy handed her David and took the box. She dropped the paper and opened the box. "Oh my god, Renee, this is beautiful." "Wore it to my wedding and I just thought you would like it." "I love it! 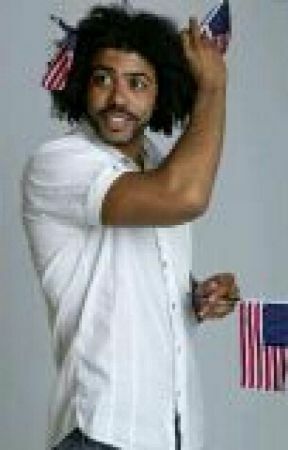 Daveed look." She said showing me the box. "It really is beautiful." I said. "Knock, knock. Is my sister in here?" Ivy&apos;s sister said. She was a really nice girl. She helped me get the house for Ivy. "Hi, sage." Ivy said smiling. "You had twins? This thing must run in the family." She said laughing. "Anyway there are some guys here who wants to meet you." 2 boys who looked alike walked in the room. "This is Sam and Mason your nephews. Boys say hi." The boys hide behind there mom. "Hey boys I&apos;m your aunt Ivy." Ivy said. "I thought you were going back to Trinidad." Ivy said to Sage. "I was but you need me here. You have twins trust me you will need all the help you can get." "But won&apos;t Mathew need you back home?" I was so happy to see my sister and her boys. It was nice to have them around. The doctor walked in the room. "Hello Ivy. How are you felling?" "I am feeling great. When can I get out of here?" I asked the doctor. She laughed at me. "Tomorrow. We want to run a few more test on David and Dakoda. Especially Dakoda." She said. "Why is there something wrong with them?" Daveed ask. "No the compete opposite. We have never seen babies born as premature as yours and be perfectly fine. Especially Dakoda who is so small. They are miracles." She said. "But I don&apos;t understand. Babies are born premature all the time and they make it." Sage said. "Yes but they usually have to go in the oxygen tank, or the enkebator." The doctor said. I smiled at Daveed. "They are fighters like there Dad." I said.